Charles Koch may well be the most successful businessman people have never heard of. Under his leadership, Koch Industries has become a dynamic and diverse enterprise that Forbes has called 'the world's largest private company'. 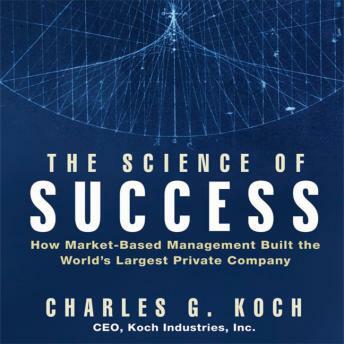 This groundbreaking audiobook includes the same material used by leaders and employees of Koch companies to apply Marker-Based Management (MBM) to get results. Koch outlines this unique management methodology, developed and implemented by Koch Industries, which has experienced 2,000-fold growth since 1967. Today, Koch Industries has 80,000 employees in 60 countries; it had $90 billion in revenues in 2006. When these dimensions are applied in an integrated, mutually reinforcing manner, they create continuous transformation and positive growth. Any organization - corporation, small business, nonprofit, or government agency - can apply these proven principles. Non-conflated, logical and scientific business literature that goes far beyond the borders of business. Delivered in a sympathetic and humble tone without any person cult.